Children aged 2 to 5 years old. We look forward to welcoming you and your family and hope that you will enjoy sharing in the life of our Pre-school. If you have any questions about our group, we hope that this information will help to clear them up. Of course, we would like you to feel free to speak to any of our friendly staff if you have any queries. 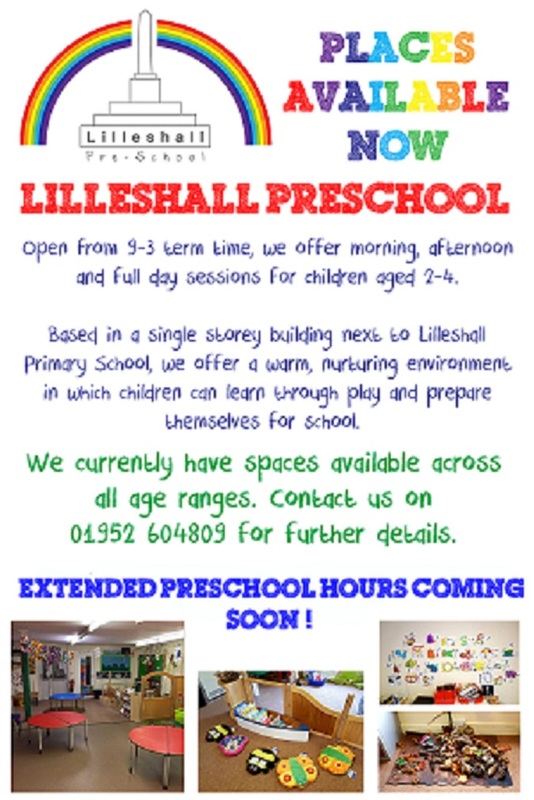 Our detached, single storey premises are purpose built and situated next door to the primary school in Lilleshall. The building consists of a main room where most of activities take place, (large toys, dressing up, sand, paint, tabletop Lego, jigsaws, playdough etc) and a smaller room where we have quiet activities and story time. Our toilets and hand basins are child size and child height to help in the development of independence. The Pre-school has installed a soft surface outside, allowing us to use our outside play area all year round. 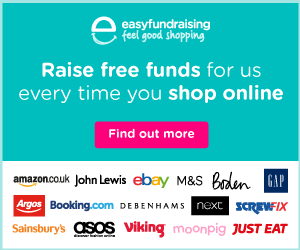 We have a good range of both indoor and outdoor equipment, and all our toys and games have been specially selected to suit the needs and help facilitate children's needs and all round development. We aim to enable parents/carers to have a choice of times when their child/children may attend. FREE PLACES AVAILABLE FROM SEPT 2017 FOR 2,3 & 4 YEAR OLD'S. GOVERNMENT FUNDING UP TO 15 HOURS PER WEEK (term after child turns 3 years with further 15 hours subject to criteria). (2 year old's 15 hours funding subject to criteria).